I feel like as far as Christmas decor goes after the Christmas Tree a Christmas Mantel is next traditional place to decorate for the holidays. I want to give you my opinion on what Christmas mantel decorations are the most important to have. 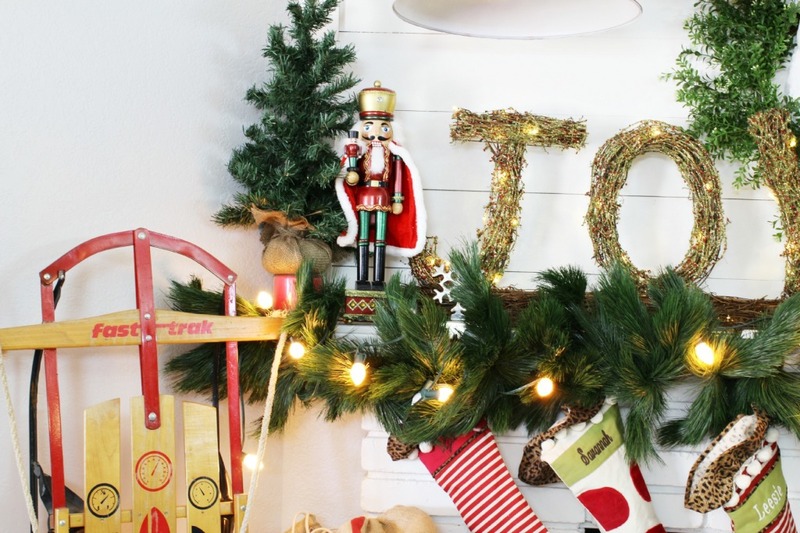 I want to show you how to decorate a mantel for Christmas. Decorating for the holidays is so much fun but sometimes the decoration don’t turn out exactly how you planned. 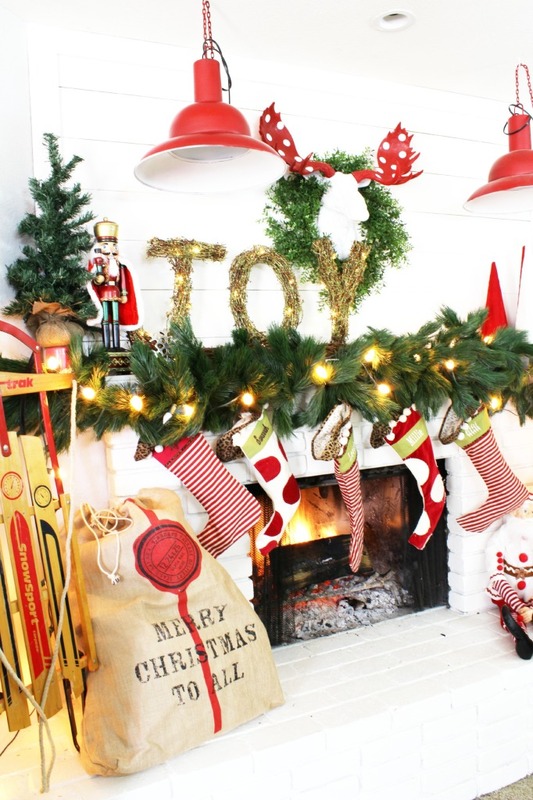 I want to give you a few tips on how I to decorate a mantel for Christmas. I also want to tell you how I choose my Christmas Mantel decorations. I am so excited to finally show everyone my Christmas mantel this year. I am loving it soooooo much!! When it comes to Christmas mantel decorations I like to have a “star of the show” that many be candlesticks, a sled, a Santa Claus, a Christmas sign or something like that to be your show stopper pieces or a focal point. For my focal point I found this cute moose from The White Faux Taxidermy They have such amazing stuff at a great price. I also wanting to do something different for my “Christmas Moose.” With that in mind, I painted his antlers red using Krylon Red Spray Paint then I used my Silhouette Machine to cut out these cute dots with white vinyl. The dots are about an inch and a half. Good Garland is always hard to find and I was lucky enough to get this garland from my mom. I got the lights from an antique store in Gilbert. They are the big bulb white lights and I do love them. 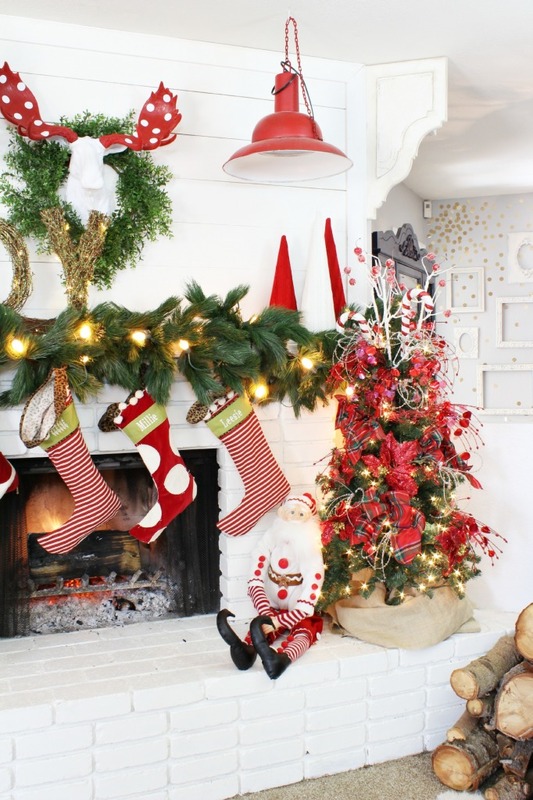 Stockings or something to add dimension like florals, or ornaments. Something fun to have on the fireplace. This could be a wood logs, A sled or like I have the Santa bag. When I decorate my mantel I always like to have a focus point and I knew my moose would be the prefect centerpiece. I started to decorate my mantel with the moose first. Good Garland is always hard to find and I was lucky enough to get this garland from my mom. I got the lights from an antique store in Gilbert. They are the big bulb white lights and I do love them. I like to lay out the garland and attach it to the mantel. You may have to use a nail to put it into place. This year was the first time that I hung the garland like this. And I really do love it. This garland is really thick and I nailed 4 nails into the mantel. I hung the garland onto the nails. 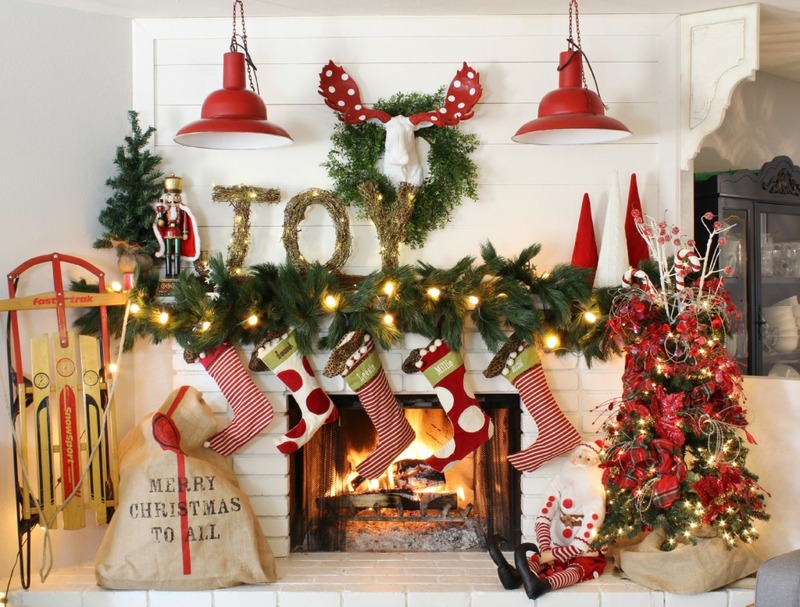 Step 3- Stockings or another piece that has more then one… like candles, nutcrackers, or some kind of collection. The stockings are from Ballard Design. I got them a few years ago. I love the classic shape and style. The lit up joy letters are from Home Goods. I also got the cute nutcracker from there and this year I decided that I am going to start collecting nutcrackers. The sled is also from the antique store. Step 4- Something a little out of the box and fun. A Santa I go the Santa bag from H & M last year. The final touch was the amazing lights! I love these soooo much! Guess what?!?!?! They were only $18 They were from Great American Warehouse I could not be more excited about these. After the holidays are over I want to hang the lights in my kitchen. To continue with the Christmas Mantel theme, I joined with 14 top bloggers in the Christmas Mantel Blog Hop! This Mantel is adorable!! Those polka dot mouse ears are so cute. I love it all!! You mantel is so fun. I love so many things about it especially the sled and garland with lights. This is so fun and gorgeous as well! Love it! so pretty!! I love the white bricks!! Amazingly cute!